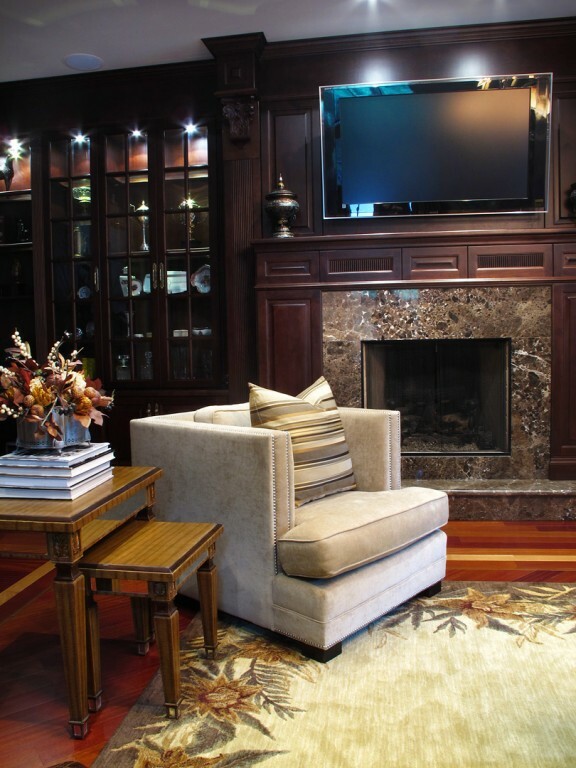 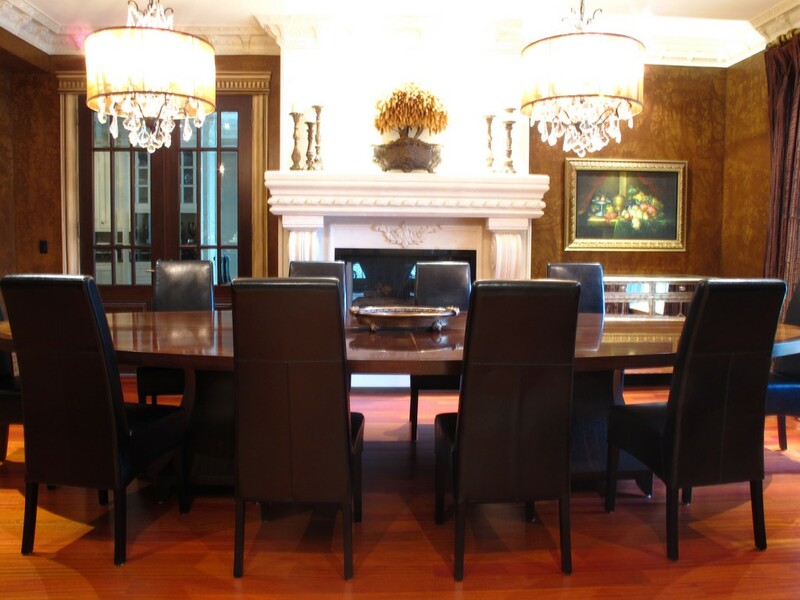 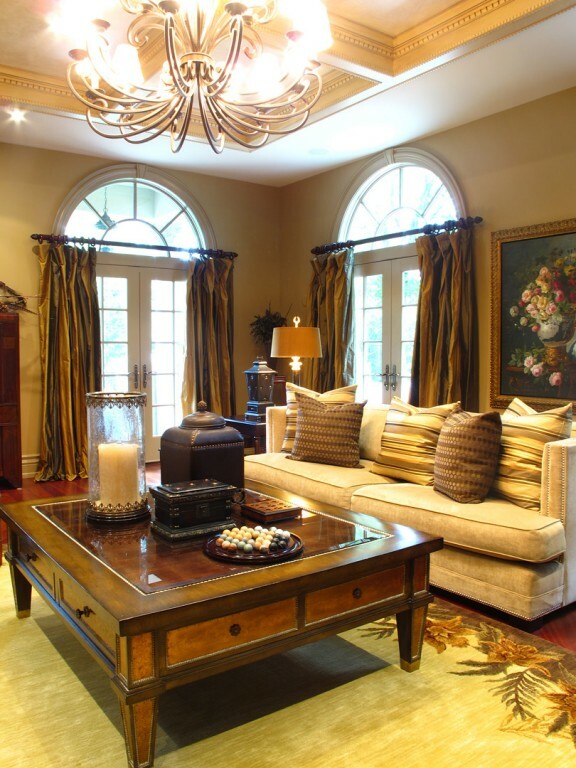 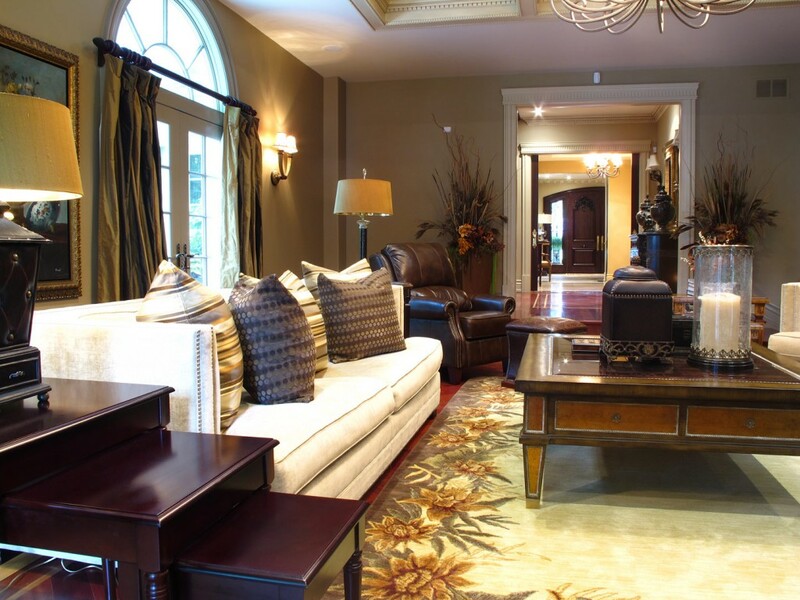 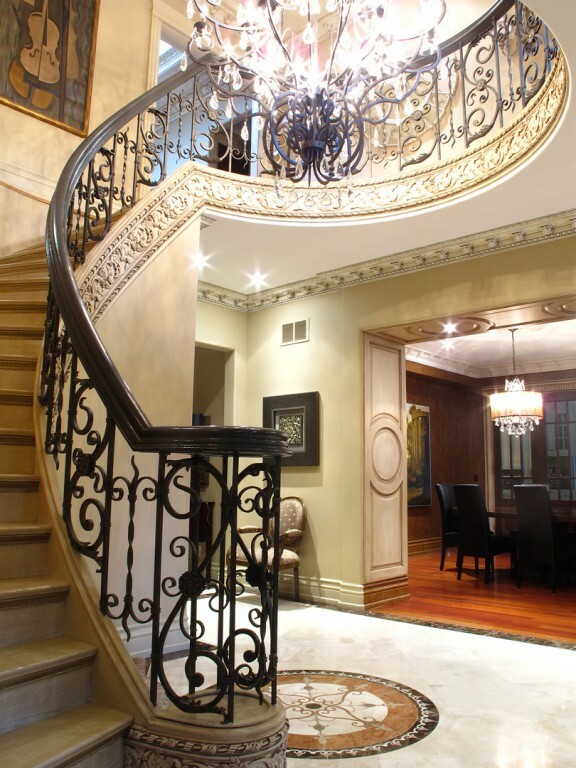 Traditional Interior | Portfolio Projects | Fleur-de-lis Interior Design Inc. 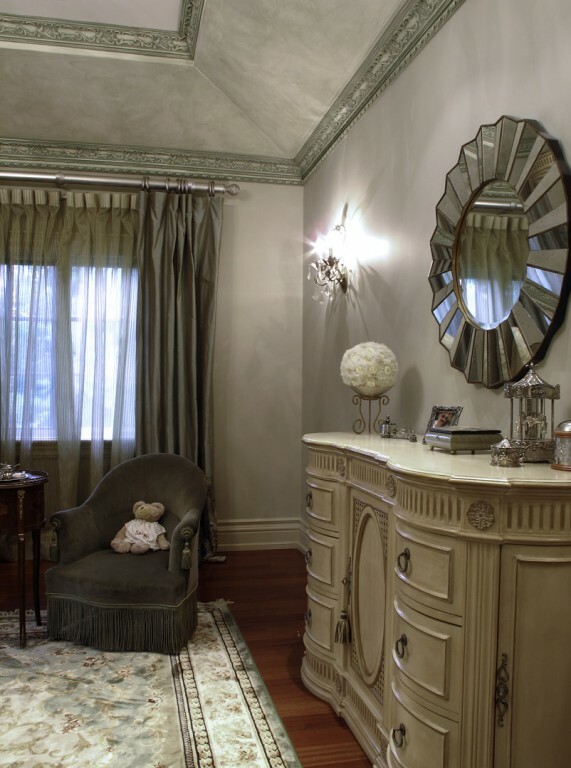 Traditional detailing involves mindful considerations of proportion and scale. 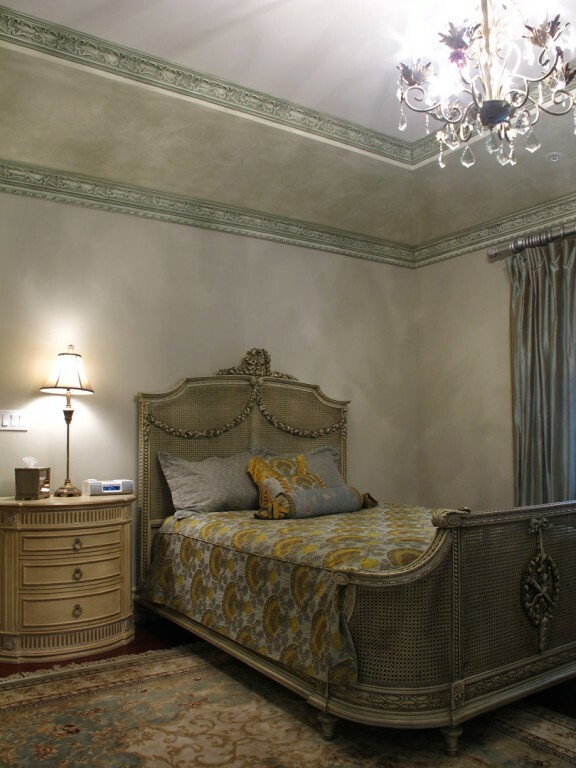 Large scale wall cornices, panel details, meticulously executed coffers and coves hide the modern amenities such as HVAC and become a backdrop to the traditional furnishings. 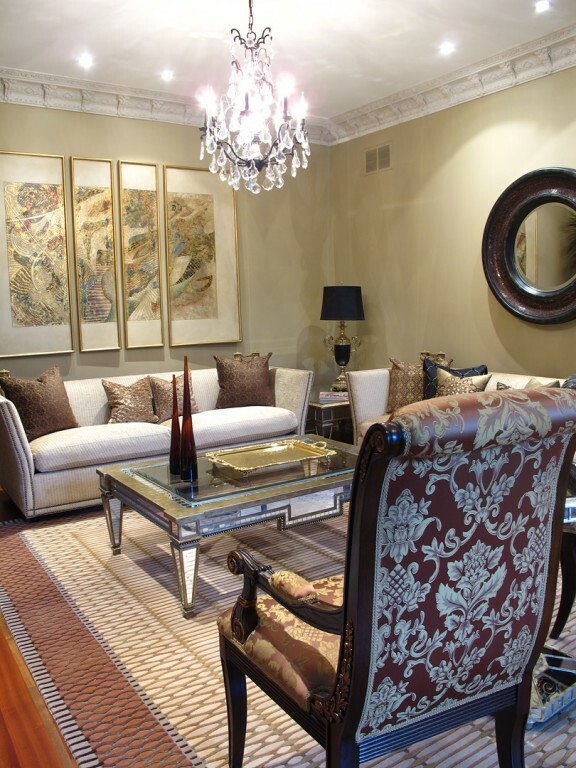 Although the proportions of the room are grand, balance was achieved through careful attention to light and dark colour selections of furnishings and millwork.